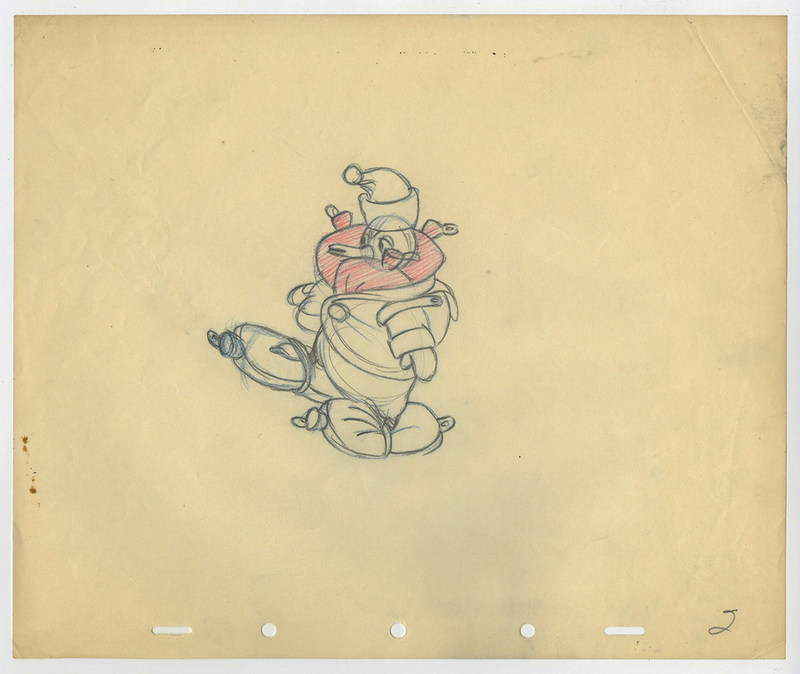 This is an original production drawing from the Walt Disney Studios production of The Cold-Blooded Penguin segment of The Three Caballeros (1945). 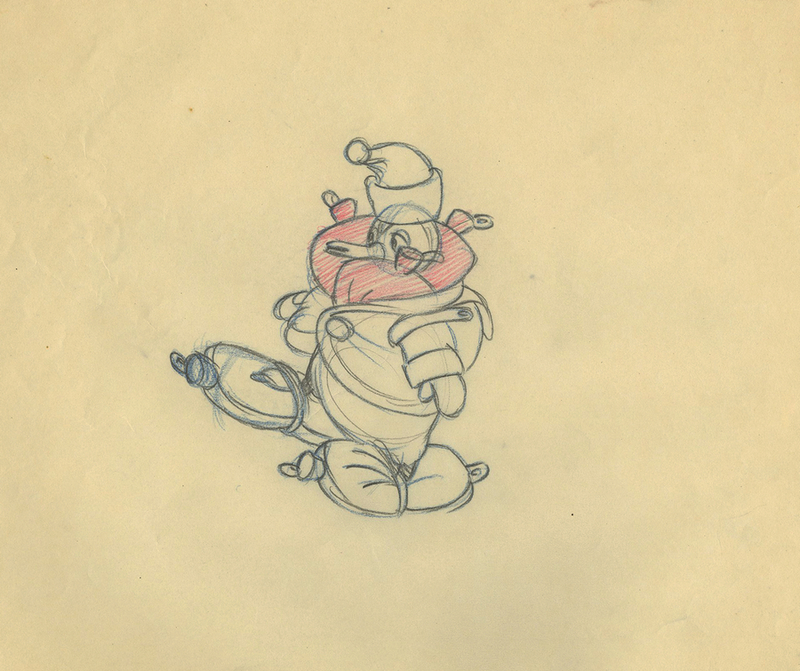 This production drawing features Pablo the Penguin and was created at the studio and used during the production of the segment from The Three Caballeros. This particular scene was one overseen by Milt Kahl, but we can not verify with certainty that this drawing is his actual work. The overall measurements of the piece are 10" x 12" and the image itself measures 5.25" x 5". The piece is in very good condition overall.